I might need to call my blog Pigs & Monsters. Aw! He’s great! I really like the line style. Hello Melissa, we have been following your tutorials and love your quality of work! 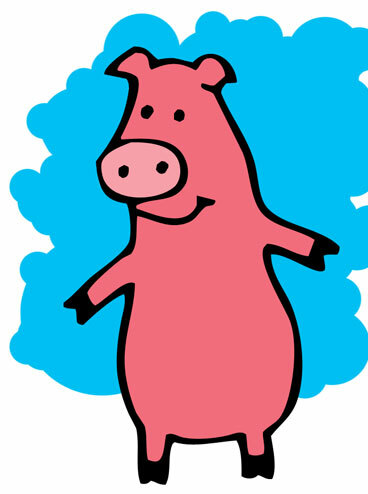 We are developing a website for art tutorials for children at the age of 6-13 years old and would be delighted to share some of your awesome piggies and other crazy creatures on our webpage, if you agree. We will be linking back to you of course. Please contact me via my email address (see contact page) about use of my work.